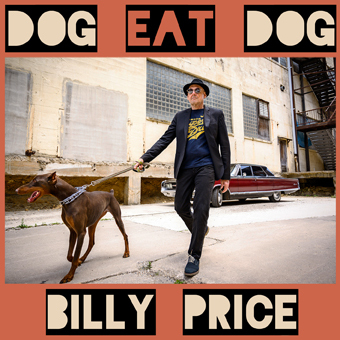 2016 Blues Music Award Winner Billy Price first attracted national attention during his three-year association with guitarist Roy Buchanan. Price is the vocalist on two of Buchanan's LPs, That's What I'm Here For and Live Stock. Since then, with the Keystone Rhythm Band, the Billy Price Band, and solo projects, Billy Price has recorded and released a total of 16 albums, CDs, and DVDs. In April 2016, he was officially recognized and inducted as a Pittsburgh Rock n Roll Legend at an award ceremony. Prices album This Time for Real, with the late Chicago soul singer Otis Clay, received a 2016 Blues Music Award in the category of Best Soul Blues Album of 2015. His latest album Reckoning, produced by Kid Andersen at Greaseland Studios, was released on June 15, 2018 by Vizztone Label Group. It has been nominated for a 2019 Blues Music Award in the category of Best Soul Blues Album of 2018. His new album Dog Eat Dog, also produced by Andersen, will be released on Gulf Coast Records in August, 2019. The Billy Price Charm City Rhythm Band, based in Billys new hometown of Baltimore, MD, consists of El Torro Gamble (drums), Greg Haughey (bass), Pete Kanaras (guitar), Tam Sullivan (keyboards), Dan Gutwein (sax), and Vince McCool (trumpet). 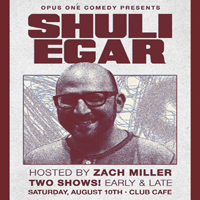 Shuli Egar can be heard on Howard 100 and Howard 101 on Sirius XM Monday through Friday. He can also be seen touring the country as a headlining comic. Youve heard him on CBS hit show SWAT as well as Chosen on FX and Brickleberry on Comedy Central. Hes performed on AXS TVs Live from Gotham and has performed with some of the worlds biggest names. Amy Schumer, Artie Lange, Jim Norton, Robert Kelly, Dave Attell, Howie Mandel, Judah Friendlander, Lisa Lampaneli and many many more. Dan LaMorte is a New York City based stand up comedian and comedy writer. 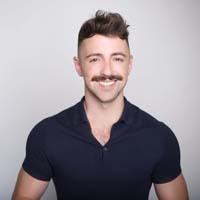 Hes a former panelist of FOX's Red Eye, performed on the 2017 season of AXS TV's Gotham Comedy Live and the 2018 season of NextVRs Live from Gotham Comedy. In 2017 he released his first album Not Enough Pieces through On Tour Records. The album got plenty of love on the iTunes comedy charts, it was met with great reviews and a lengthy stay as the top selling stand up album. Not Enough Pieces remains a popular play on SiriusXM's Raw Dog Channel and has reached over 125,000 streams on Spotify. Dans first special Infect Me Once is being released with Comedy Dynamics and BroBible this summer. It was filmed at Zanies in Chicago and will lead into Dans 2019 Infect Me Once Tour in September. Joining Dan on tour will be New York's Michael Terry & Maggie Crane. Life is a struggle. Even when things go our way, its a constant swim against the tide, kicking against the current in the hope well eventually find the shore. 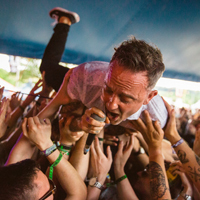 Thats the premise behind Dave Hauses fourth album, Kick. Kicking was the first thing he saw his newborn twins do and its something he himself has been doing all his life. His career as a musician has spanned two decades, and his songs have always been a quest for personal survival  about pushing through against the odds  but his perspective shifted dramatically after the November 2016 election. That sense of hope and defiance permeates this record from beginning to end. Saboteurs takes issue with the systems in place that value profits over well-being, while Warpaint serves as both a tribute to the women in Hauses life as well as a moody call-to-arms. And on The Ditch, the records first single, Dave and Tim tackle mental health issues head-on, marking the first time in their respective careers that theyve openly discussed their own struggles with depression. One catalyst for doing so was the sudden and tragic loss of friend and musical inspiration Scott Hutchison. The Frightened Rabbit frontman took his own life in 2018, prompting the brothers to write about finding  and coming back to  a sense of meaning and purpose again after going through their own battles. Understandably, that tracks themes of finding the will to stick it out and make the best of where you are, quickly became a major keystone of the album. The brothers credit a busy touring schedule for their ability to write with more understanding and empathy, two qualities that are found in abundance on these 10 songs. Like many Americans, Hause believed the 2016 election divided people to create an us versus them mentality, but if you look closer its just really people trying to survive. He felt it was important to write about the things that were happening to the people who have to get up and go to work every day. That, Hause says, is when he and his brother really dug in. It was about figuring out how to find the light that comes through the crack in everything, he says. This album doesnt sugarcoat either the personal problems or the global challenges at its center. At the core of this record there remains a vivid humanity and a hope that things can  and will  get better, even if it seems like the odds are stacked against us. After all, when the only alternative is to drown, the first step towards survival is to kick. MATTEO LANE is a New York-based comedian whose stand-up special can be seen on Netflixs THE COMEDY LINEUP. Hes also currently developing a half hour pilot at Comedy Central, and the host of the Snapchat series WE GOT ISSUES. He has performed stand up on THE LATE SHOW WITH STEPHEN COLBERT, LATE NIGHT WITH SETH MEYERS, Comedy Centrals ADAM DEVINES HOUSE PARTY and THE COMEDY JAM, as well as HBOs CRASHING. Fluent in five languages and with a singing range of six octaves, Matteo lived in Italy as an oil painter and opera singer before starting his comedy career. 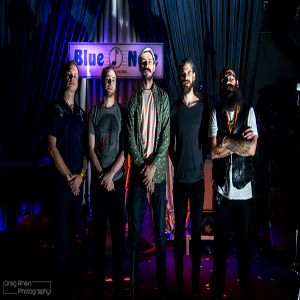 Hipster Assassins is a collaborative endeavor of virtuosic talent that came together in New York City at the historic Zinc Bar in 2010. Over the next 2 years the band had a weekly Monday night residency at Zinc where it started to develop its own sound playing both originals and covers. Since its inception, the band has played all over the world, including Montreal Jazz Fest, the Jazz Cafe in Costa Rica and plays once a month at NYCs famous 55 Bar. Felix Pastorius, Bassist: The son of Jaco Pastorius who has worked with the Yellowjackets, Jeff Coffins Mutet, A$AP Rocky, and Onyx Collective, has worked hard and achieved his own voice on the electric bass. This voice is the anchor of the band. Mike Bendy, Bass: The idea of a second bassist in a band could be strange to some, but Mikes virtuosic skill and experience give him the tools to complement the other low-end instruments in the band perfectly. Outside of Hipster Assassins Mike has performed with Kenwood Dennard, Alex Foster, Sean Wayland, and metal band Res15. Kenny Grohowski, Drums: Kenny works regularly with various John Zorn projects as well as the famed fusion group Brand X. He has also worked with Lonnie Plaxico and Andy Milnes Dapp Theory. Born in Orange, Texas in 1949 to a family whose female members all played piano, Ball grew up in the small town of Vinton, Louisiana, right across the border from Texas. She began taking piano lessons at age five, playing old Tin Pan Alley and popular music tunes from her grandmothers collection. But it wasnt until she was 13 that Marcia discovered the power of soul music. One day in New Orleans in 1962, she sat amazed as Irma Thomas delivered the most spirited and moving performance the young teenager had ever seen. A few years later she attended Louisiana State University, where she played some of her very first gigs with a blues-based rock band called Gum. When Freda And The Firedogs broke up in 1974, Ball launched her solo career, playing clubs around Austin, Houston and Louisiana. She signed with Capitol Records in 1978, debuting with the country-rock album Circuit Queen. Creating and honing her own sound, she released six critically acclaimed titles on the Rounder label during the 1980s and 1990s. In 1990, Ball-collaborating with Angela Strehli and Lou Ann Barton-recorded the hugely successful Dreams Come True on the Antones label. At the end of 1997, Marcia finished work on a similar three divas of the blues project for Rounder, this time in the distinguished company of Tracy Nelson and her longtime inspiration, Irma Thomas. The CD, Sing It!, was released in 1998 and was nominated for a Grammy Award. 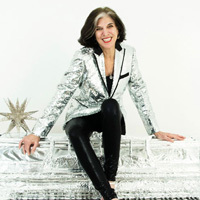 Marcia Ball has appeared many times on national television over the years, including the PBS special In Performance At The White House along with B.B. King and Della Reese, Austin City Limits and HBOs Treme. She performed in Piano Blues, the film directed by Clint Eastwood included in Martin Scorseses The Blues series which aired on PBS television nationwide in 2003. Marcia also appeared on The Late Show With David Letterman with The New Orleans Social Club, where she not only reached millions of people, but also helped to benefit victims of Hurricane Katrina. In 2012, she had a role in the independent film Angels Sing starring Harry Connick, Jr., Lyle Lovett and Willie Nelson. In 2017 she performed on NPRs A Jazz Piano Christmas, live from The Kennedy Center in Washington, D.C.
Of course, Ball will bring the party on the road, playing her new songs and old favorites for fans around the globe. I still love the feel of the wheels rolling, she says, and the energy in a room full of people ready to go wherever it is we take them. With both her new album and her legendary live performances, Marcia Ball will shine a light into the darkness, making the world a brighter place one song at a time. Jim Avett of Concord, North Carolina, is the son of a Methodist minister and a classical pianist who grew up in a home full of love and music, a home where he learned the importance of hard work and honest living. He and his wife instilled these same values in their children, tempered with a lot of fun, and of course, music. Jims guitar was an ever present instrument, and there was always singing. As much as he enjoyed writing and performing music, Jim put his family first and spent 35 years running his welding company, building bridges along much of the east coast in order to provide for them. 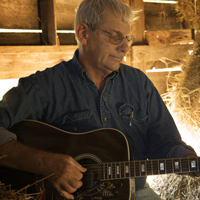 After retiring from welding, he returned to music and recorded Jim Avett and Family, a collection of gospel music, with his children, Bonnie, Scott and Seth in 2008. 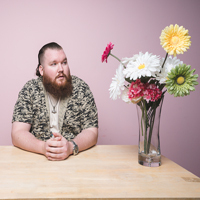 Soon after, in 2010, he released Tribes, a collection of original tunes ranging from soulful love ballads like the title track to the more lighthearted, "Fight with a Bottle of Booze". In Second Chance, Jims latest offering, the influences of classic country and early rock and roll are apparent. Once again, he draws on life experiences to write songs about love ("Pictures in the Attic"), boyhood memories, ("Willard"), and loss ("Holy Ground"). You can find Jim performing in listening rooms and at festivals from the Southeast to New England. His shows are a combination of beloved country tunes, his original ballads, and the stories he tells to introduce them. Once comes away from a Jim Avett performance with the feeling that this is an honest man sharing his life and his love of music. Its like spending the evening on the front porch singing and talking with a good friend.